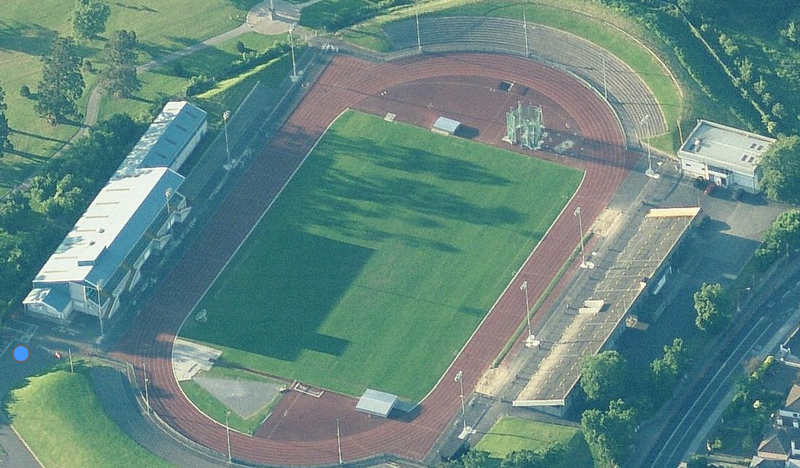 Today’s track is found at Morton Stadium, which is Ireland’s national training and competition center for track & field. It is an outstanding facility. It was built in 1958, and originally had a cinder track. In 1977, a new Tartan track was installed. Today, it has a new Mondo surface, and was used as a training and prep site for the London Olympics. There are eight full lanes, and ten on the straight for the sprints and hurdles. Throws are on the inside of the track. The bleachers are small, only holding 800 people but there is standing room for 4,000. Besides being used for training, several big competitions are held here every year. Maria, I competed and practiced on a cinder track myself in high school. You are right – hard work! Today’s track athletes don’t know how nice they’ve got it! If you have any other suggestions for tracks in Ireland, please feel free to send them my way. They seem to be few and far between, but would love to post some more in the future.